Yeah, the antimatter isn't my favorite. But talking about the Sahkarov conditions stretches the time limit. Maybe in another one. The Higgs one is a classic. It was invented by Davis Miller of UCL. He spoke of a British PM without identifying Thatcher by name. Well, it’s now a proven fact that your video lectures can hinder academic performance. Probably because I’ve been watching them instead of doing my homework. So another video just got released, this one on the idea that quarks and leptons might be made of even smaller particles. So isn't this better than a silly TEDtalk? I dunno. I like the videos. I have control over them. But a high end TED talk might open other opportunities. In the end, I just talk to the public about science in any way I can manage. If I make a difference, all the better. Maybe I just need a catch phrase, but "billions and billions" has already been taken. Lincoln wrote: So another video just got released, this one on the idea that quarks and leptons might be made of even smaller particles. I thought that you told me that in order for someone to get a job as a physicist that they had to be really good looking? Yes. And now I've proven it to you. Lincoln wrote: Yes. And now I've proven it to you. Ya know, you are much too smart for your own good Lincoln. He got me to buy two of his books already.. and I haven't made a dime off him yet. Perhaps someday I will write something worth buying..lol. Dave_Oblad wrote: I agree Ron. Seriously, I have been saying for years here on the forum that I believe an electron may be made of smaller particles. Where do photon particles come from? You mean in canonical physics theories? Or in the scenario where particles smaller than quarks and leptons are a possibility? My copy is at the book store awaiting pickup. I just haven't been to the big city to get it. I hope it's signed. I think I read here somewhere the smallest bits that make up quarks and leptons, are made of conjunctives variables, time and energy, so uncertainty is an important aspect of matter. Lincoln wrote: You mean in canonical physics theories? Or in the scenario where particles smaller than quarks and leptons are a possibility? I still have my own personal theory that light is made from a number/stream of particles(photon?) all traveling in a wave like pattern(My personal version of wave/particle duality again) Light begins in an electron moving to a higher orbit, yada yada yada. I understand that the experiments actually prove that light is both wave/particle(duality), and this when taken at face value sounds like a completely ridiculous and illogical conclusion: I mean, how can something(again in this case light) actually be two other completely different things at the same time(or say for example be both a horse and a chicken)!? Unless, the light wave is in fact itself made up and composed of moving up and down particles, like my theory here suggests. Apparently I haven't kept this thread up very well. My video that came out yesterday is fun and interesting, if I do say so myself. I have a nice videographer who gives high production value and the science topic is one that even science enthusiasts don't know about. The first one in the list is the newest, but the others are also (hopefully) interesting. I watched 4 of them, I like them. They are different. Then all that dark energy and dark matter. dang, we are seriously living in the dark ages here. These are terrific! If you liked the first ones, you'll certainly enjoy these. Thanks, Lincoln (and FermiLab). I find that if more than one of us are accessing them through SPCF servers (by clicking the above video play buttons) at a time, the videos often pause to read/accumulate more video data. Great! Thanks to you and your trusty resourceful videographer for creating them. Good show, Lincoln! Because I come to SCF so rarely these days. Here is an ongoing playlist. 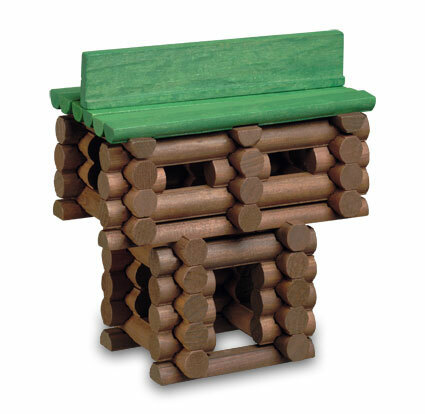 I've added "Lincoln Logs" to my favorites. I see I've got some catching up to do! I watched the first one, using pion decay to explain "Einstein's Clocks," but had to watch with CC due to workplace. Was amused to find that the CC wrote pions as "pythons," so Don seemed to be talking about python decay and so on. My minions will upload the right CC file soon.